You’ve probably heard it a dozen times from older people nowadays: “Kids are making so much money working on those computers!” Although they may not be aware that computers involve much more than Google Chrome and Microsoft Office, they’re not wrong. Computer science, software engineering and networking are some of the fastest-growing industries in today’s job market. With so many possible directions, computer science and degrees in related fields like software engineering and networking are perfect for many students who may have never even considered them a possibility. 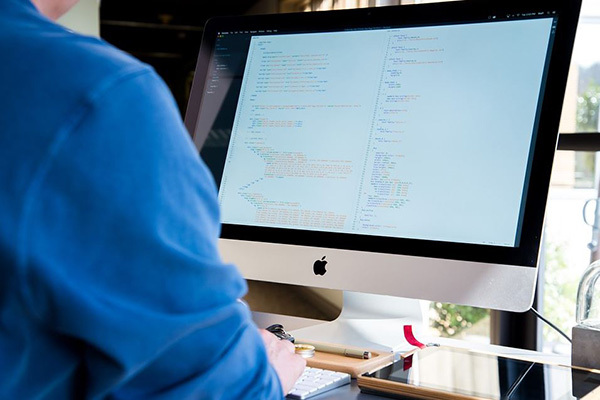 Read on to discover three of the best computer science and software engineering degrees available online today. Computer science goes over the basic functions of a computer. It focuses on the writing of code and algorithms so that the computer can carry out certain protocols and tasks. It also talks about how computers communicate with each other. This is what is referred to as networking. Computer science also goes into depth about programming languages used to write code to input and execute. Many times, senior projects for computer science majors include writing entire programs to deal with the most current issues in the field. Software engineering is a little bit different than computer science. It tackles the problems of building software, usually with a team. Many of the required courses are the same or are very similar. Software engineering students take additional courses that go into software architecture, testing and software deployment. It also focuses on working with people to achieve these goals together. There is also a section for senior students known commonly as “the software engineering capstone”. This challenges students to create a project for a certain outside customer in need of a certain type of software. A good choice if you enjoy creating things from scratch, have a life-long learning mentality and are self-disciplined. Computer scientists can do everything from writing new computer applications to developing websites, creating mobile apps and programming new software. In the UMUC online computer science degree for instance, you’ll learn core programming languages like C++ and Java and then learn how to combine them with mathematical principles in design application. You’ll also learn how to plan, design, and program algorithms as well as optimize them, all while adhering to technical standards, ethics and intelligence laws, while developing and programming new solutions. One of the best choices for a computer science undergrad to make is to continue their education and pursue a master’s degree in computer science. An online computer science master’s degree allows you to focus on a specific area in the field that you’re passionate about and prepares you for a career doing what you love the most. Studying online is much easier to manage, especially if you’re balancing kids and home life. This kind of degree is a good choice if you enjoy experimentation and don’t get frustrated with the trial-and-error process. Usually, those interested in math and computers are perfect candidates for degrees in software engineering. Software engineers solve problems with technology and by using their patience and skills to find solutions. Students studying at universities like Colorado Tech have various options to customize their software engineering degree. The undergraduate curriculum draws from various technological fields, but the heart of the program will teach you how to apply computer science principles to software development and design, develop brand new software applications as well as edit pre-existing ones, learn about database analysis, program development processes, web development and networking and construct intricate software solutions that can be integrated into old machines or used on new ones. Computer science and its branches are all great choices for problem solvers. You don’t need to be a math genius to earn a computer science or software engineering degree, but an interest in the subject definitely helps. The best way to decide whether or not a career in computer science or a similar field is right for you is to research each degree’s outcome careers. You’ll learn about projected salaries, day-to-day responsibilities and be able to gauge which path best aligns with your personality and ambitions. Article written by Rachelle Wilber, a freelance writer based in San Diego, California.